Store movie data & images locally, optionally sync with our free CLZ Cloud storage. 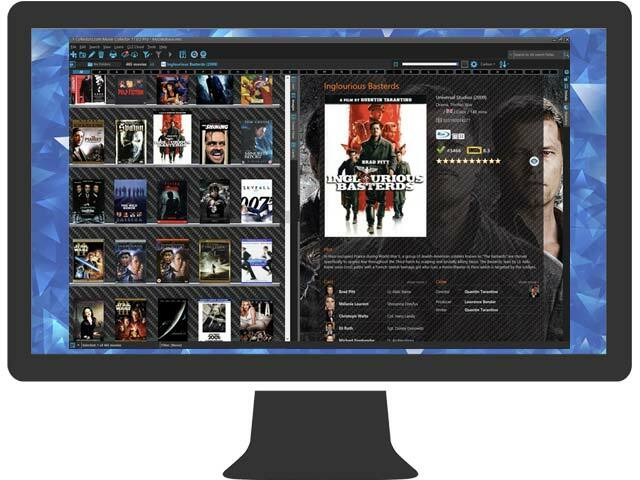 List, Images or Card View for your movie lists. Different templates for the movie details panel. Just search our online movie database by title or by barcode. Select the movie and/or DVD/Blu-Ray edition you own. Cover art, movie posters, backdrop art and trailer videos. For TV Series, full episode details (plot, first air dates, cast) and screen shot images. share your movie list online, for friends and family (example). Export your movie database to Text or XML files. Print movie lists in any order, with your configurable columns.